This attack does 30 times the number of colorless energies attached to Haxorus. 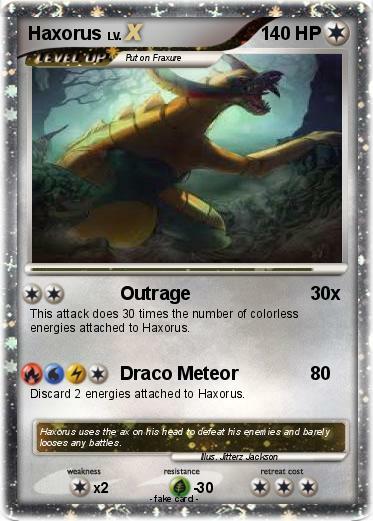 Discard 2 energies attached to Haxorus. Comments : Haxorus uses the ax on his head to defeat his enemies and barely looses any battles.